Japan’s central bank on Friday held off fresh easing measures, despite mounting pressure to act amid growing fears that eurozone turmoil will damage a recovery for the world’s third-biggest economy. 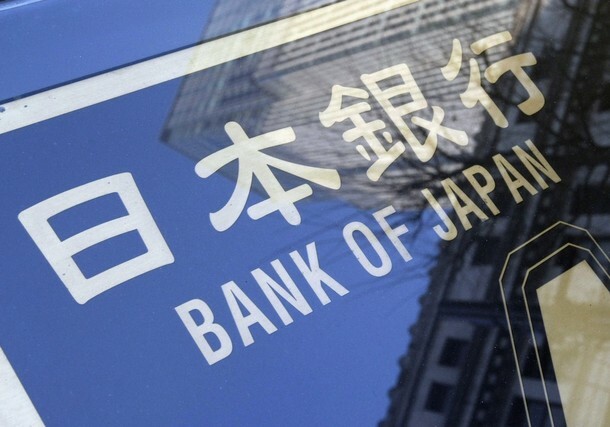 The Bank of Japan (BoJ) said it would leave its key interest rate at between zero and 0.1 percent but would also leave a 70 trillion yen ($885 billion) asset purchase programme unchanged. The decision, which came after a two-day policy meeting Friday, was likely to disappoint some Japanese lawmakers who have called on the bank to do more to kickstart the sputtering economy. Markets have also been watching for signs of further easing action by the US Federal Reserve amid signs of a worsening labour market in the United States. After the BoJ announcement, the dollar added to its overnight losses against the Japanese currency, hitting 78.93 yen from 79.34 yen in New York trade late Thursday. However, currency markets have been preoccupied with weekend elections in Greece that are widely seen as a referendum on the debt-hit nation’s future in the embattled eurozone. “It’s difficult for the BoJ to take a fresh action ahead of Greece’s elections Sunday and the US Federal Reserve’s policy meeting,” Yoshiki Shinke, chief economist at Dai-ichi Life Research Institute in Tokyo, told AFP. “The BoJ hopes to see developments after these events. If financial markets get upset, then it would take additional easing measures next month,” he added. In a statement, the BoJ echoed previous comments on the state of Japan’s economy, acknowledging the damaging deflation that has plagued the nation for years. “The bank recognises that Japan’s economy faces the critical challenge of overcoming deflation and returning to a sustainable growth path with price stability,” it said. There have ben signs recently of an uptick in the Japanese economy, with data showing gross domestic product grew 1.2 percent between January and March, although factory output remains anaemic while a strong yen has hurt the crucial export sector. The health of the 17-nation eurozone has significant implications for Japan, which is a major exporter to Europe and holds eurozone public debt. A flight by investors from the euro has also helped push up the value of the yen, making Japanese goods relatively more expensive overseas. In April, the BoJ in April rolled out the latest in a series of easing measures to halt falling prices and prop up the economy, which is struggling to recover from last year’s quake-tsunami disaster and floods in Thailand. While seemingly good news for individual consumers, falling prices are bad for the economy as a whole because they encourage shoppers to put off purchases in the hope they will pay even less for goods in the future. This cuts into corporate profits and stops firms investing in capital and employees because they are unable to see future demand. The bank has also boosted a loan programme amid reconstruction efforts seen as crucial to reviving the economy. The central bank has been forced to resort to the unconventional measure as its ability to free up money has been limited since interest rates were cut to their record lows at the end of 2008 during the global financial crisis.